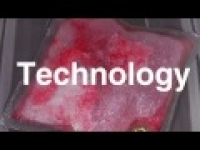 Technology positioned for paradigm shift of the water treatment industry. Annual police technology forum taking place in Canberra, Australia. 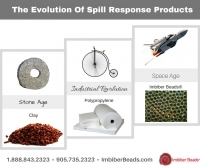 The evolution of spill response products. Learn the real reason why oil spill recovery statistics have not improved in over 50 years. 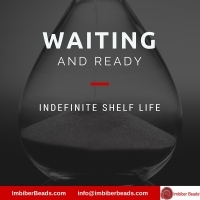 When you have a spill make sure you are ready to respond and not left with a product which has expired. Does your current spill response product tell you when you are cleaning a spill? The majority of fuels/solvents are clear. How do you know when you are cleaning them up as opposed to water? 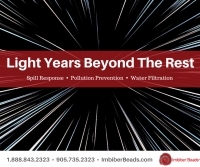 With Activation Awareness Technology, Imbiber Beads® Packets, Pillows, Blankets and Booms go from white to pink at activation to red at saturation visualizing the spill! Deepwater Horizon Oil Spill, What If? The Deepwater Horizon oil spill was one of the largest spills ever. 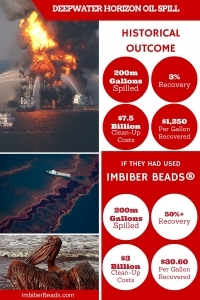 With over 200 million gallons of oil spilling into the Gulf of Mexico and only 3% being recovered, how could Imbiber Beads® improved recovery statistics? 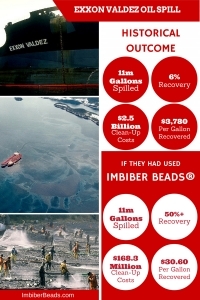 Historical spill recovery costs are compared to Imbiber Beads® for the Exxon Valdez oil spill. 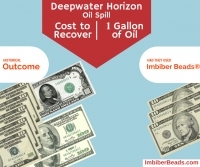 Compare the historical cost of recovery from the Deepwater Horizon oil spill in the Gulf of Mexico (per gallon) vs. the cost of recovery had Imbiber Beads® been used as part of the spill cleanup operation.